Are you ready to meet Jefe? This is the mascot of the casino we are going to talk about in this review – Casino Jefe. This is a good choice for all gamblers interested in having a good time while betting. Casino Jefe started their gambling activities in 2015 and ever since that day, they have been operating successfully on the gambling market. It didn’t take long before they gained a good amount of followers and that’s very understandable. A group called Lucky Dino Limited, which is the same group that is operating the successful high-roller casino Lucky Dino is operating casino Jefe. These are the only two casinos in the group, and both of them are very popular. When it comes to safety and honesty, we have good news. Malta Gaming Authority is regulating casino Jefe, and they are operating with a license in the jurisdiction of Curaçao. iTech Labs has approved them, and they also have RNG, which results in fair gaming. SSL encryption is also present so that all sensitive information is safe. A fun fact, before we move on to more important matters, is that Lucky Dino Casino also has a mascot. It’s called Dino and is just as cool as Jefe. If this group creates a new online casino in the future, we can expect to be introduced to another mascot! When it comes to the welcome bonus, you can choose between the Awesome Free Spins Package or the Great Deposit Bonus Package. The Awesome Free Spins Package gives you free spins on your first three deposits, and all of them are free from any wagering! The Great Deposit Bonus Package gives you up to €275 in bonus money in total on your first three deposits in the casino. If you want to know more about the rules for these bonuses, we recommend that you check their website and click on bonus terms and conditions. You will probably be happy to hear that Casino Jefe is mobile friendly, which means you can play on your mobile phone without any problems. The only thing you need to do is to search for Casino Jefe on it and start playing. You don’t have to download anything, you only need to log in, and you’ll be ready! When it comes to payment methods, you have several to choose from. For deposits, you can use Visa, MasterCard, Skrill, Neteller, Instant Banking, Zimpler, Paysafecard and Moneta. For withdrawals, you can use Visa, Skrill, Neteller, Instant Banking and Moneta. The minimum amount you can deposit €25 and the minimum amount you can withdraw is €30. €20,000 per month is the limit when it comes to how much you can withdraw. The timeframe for deposits are instant, and normally it takes around 24 hours to withdraw with e-wallets, 1 to 5 banking days for Visa, 0 to 5 banking days for Instant Banking and, believe it or not, for Moneta it’s instant. All casino players want good customer service. Not all players need to contact them, but many do. No matter which of them you are, it’s always a good thing to know that a professional team is there to help if it’s needed. The way to contact them is by either email or live chat. Something that we find kinda cool and great with Casino Jefe’s customer support is that they guarantee a 15-minute response time to all players that are on Jefe level 4. If they do not respond in time, you will be given €10 that can be used in the casino. How awesome is that? If you want to know more about it, then you will find loads of information on their site. 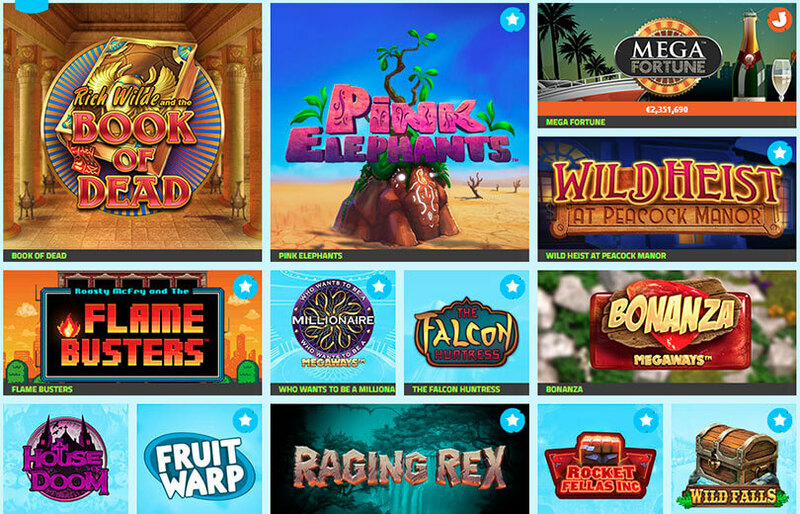 The games you can find in the casino, or at least a few of them, are Bonanza, Book of Dead, Mega Fortune, House of Doom, Reel Talent, Moon Princess, Trolls Bridge, Baron Samedi, The Great Albini, Turn Your Fortune and Wild Falls. You can expect finding games from providers like Play’n GO, Pragmatic Play, William Hill, Habanero, Microgaming, NetEnt and more. Why wouldn’t you sign up at Casino Jefe? Not only do they have a unique welcome bonus with several choices for every new player, but they also give 11 awesome free spins to those that create an account in the casino without even having to make a deposit. We hope that you find Casino Jefe interesting and great because it’s a really good casino. But if you don’t, we at least recommend that you create a user right now so that you can get the no deposit free spins. It won’t take long to fill in the information, and after that, you will be ready to spin the wheels. Also, who knows, maybe you end up changing your mind about it! If you on the other hand like what you’ve heard and can’t wait with making a deposit with a bonus, then there is no question what you should do. Activate the bonus after you’ve signed up and got ready to play! Casino Jefe - spin the wheel now! No matter if you are a new casino player or a regular one, you will definitely enjoy your stay at Casino Jefe. This casino offers a lot of excitement and entertainment. You can play a great number of games from well-known providers in the industry, and you can choose between several bonus offers. Sign up now to get 11 free spins right away!